Owners of Frigidaire refrigerators with ice makers or water dispensers should rely on authentic water filters to maintain the quality of ice and water. If you regularly use these features on your fridge, replace your Frigidaire water filter at least every six months, or more often, based on your usage and the capacity of the filter model. Many refrigerator models feature filter change indicator lights to make it easier to tell when a new filter is needed. Your fridge will require a particular PureSource replacement filter designed to fit the filter housing. What Are Frigidaire Water Filters? Frigidaire water filters are cartridges specifically designed to fit certain refrigerator model numbers manufactured by this brand. It is important to choose the right PureSource cartridge, as these replacement filters are designed to install in different ways depending on the housing on your refrigerator model. Inline water filters attach directly to the water supply line and are compatible with any brand or model of refrigerator. Genuine Frigidaire water filters provide up to three levels of carbon filtration to reduce the amounts of chemicals and contaminants found in drinking water. These NSF-Certified filters typically outperform off-brand replacements made by independent manufacturers. When you purchase an authentic filter, you can count on the replacement to function as intended for the complete capacity rating and operational life guaranteed by Frigidaire. 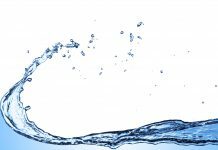 Even though replacement filters by other brands may cost less up front, the quality of the water and the longevity of the filter are likely to limit the value of these options over time. Customers point out that some replacement filters are not designed to properly fit Frigidaire models. You should never try to jam the wrong filter into your fridge or alter or manipulate the filter housing in any way that may void your refrigerator warranty. Instead, reference your refrigerator manual and search for the right water filter for your fridge model number. Regularly replace the filter to maintain the quality of ice and water dispensed from your fridge. 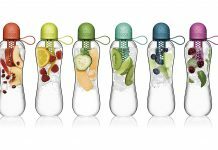 Frigidaire manufactures a variety of water filters, including inline models that are compatible with all refrigerators with ice​​ makers and water dispensers, as well as PureSource filters designed to fit certain fridge models. Make sure to choose the right replacement Frigidaire water filter for your refrigerator. This manufacturer makes it easy to do by clearly identifying the model years and fridge designs that work with each PureSource filter. Frigidaire also provides alternate replacement filter part numbers to help you ensure that you obtain the right cartridge for your refrigerator. 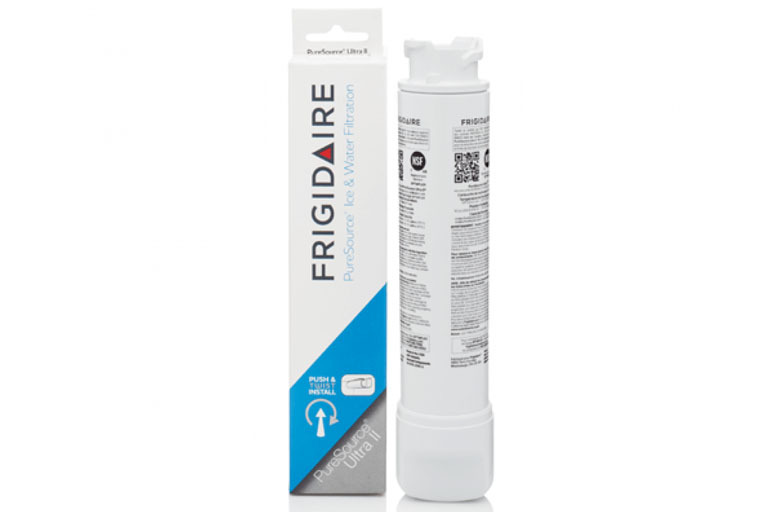 The Inline Refrigerator Water Filter by Frigidaire is the most basic and affordable water filtration option and will work on almost any refrigerator with an ice maker or water dispenser. 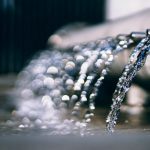 This filter connects to the incoming water supply line and improves the quality of ice and water. The inline filter measures 10 inches long and features quarter-inch brass compression fittings. 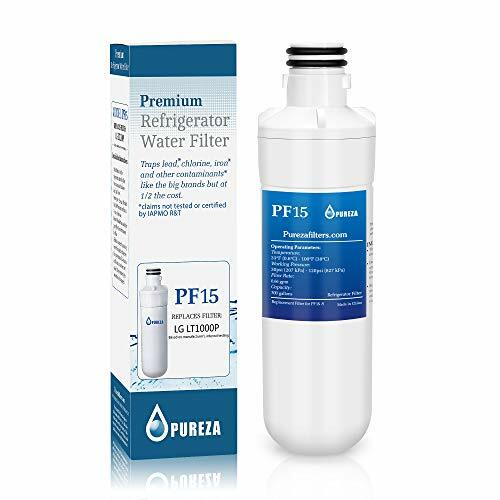 You can use this filter as a preliminary filter in addition to a PureSource or another refrigerator water filter to further improve the quality of water and prolong the life of any filter that is installed in the refrigerator housing. The PureSource Plus is a cup filter designed for use in Frigidaire models manufactured prior to 2001. The filter in this model is located inside of a round plastic housing. This NSF/ANSI certified filter is rated to filter 200 gallons with a flow rate of 0.375 gallons per minute. This filter is designed for use in side-by-side fridge models and installs in the rear top-right with a three-step process. The PureSource Plus Ice and Water Filter is model number WFCB with alternate part numbers WFB, WF1CB, SWF1CB, SWFCB, RENEW1CB, RENEWFCB, RF-200, and NGRG-2000. You may also find alternate part numbers 218710901, 218710902, 218717805, 240389101, 240389102, 240394501, 242007903, 5303917752, 5303917836, 5303917937, 5303918017, and 5304461598. This filter model is compatible with a variety of FRS20, FRS24, FRS25, and FRS26 refrigerators. You will need to unscrew the filter cup and dump out any water before pulling the old filter down and discarding. Insert the new filter into the filter cup and make sure the end of the filter with an O-ring is facing up when you screw the filter cup up onto the housing. The filter will align as you tighten the cup. Finish by resetting the filter change light on your fridge if it has one. The Frigidaire PureSource 2 water filter is designed for use on side-by-side refrigerators manufactured after 2004. This filter is certified to meet NSF/ANSI Standards 42 and 53. These filters install in the front top-right of compatible models with a slide-and-click method. The PureSource 2 filter is rated to filter 200 gallons with a flow rate of 0.5 gallons per minute, and it has an operating life of six months. You can also purchase a starter pack filter bundle for PureSource 2 that includes this water filter, a PureAir Ultra air filter, and a PureAir Freshness Booster ethylene absorber. If your fridge is in need of a freshness boost to improve the quality of air, food, ice, and water, you should consider purchasing this bundle. The PureSource 2 Water Filter is model number WF2CB, also known as SWF2CB, RENEW2CB, 240396401, 240396403, 240396404, 241968503, 241968506, 241968508, and 242007901. This filter is compatible with Frigidaire refrigerators with a wide range of FRS, FLSC238, RSC23, GHSC239, GHSC39, GLHS, GLRS, GS23, PHSC, PLHS, and WRS fridge models. In order to replace the PureSource 2, you will need to press a button located to the right of the filter to release the old filter and pull it straight out. Push the new filter in until you hear a click, which releases a water valve that enables this unit to prevent leaking during filter changes. Once the filter locks into place, you should reset the filter change light. 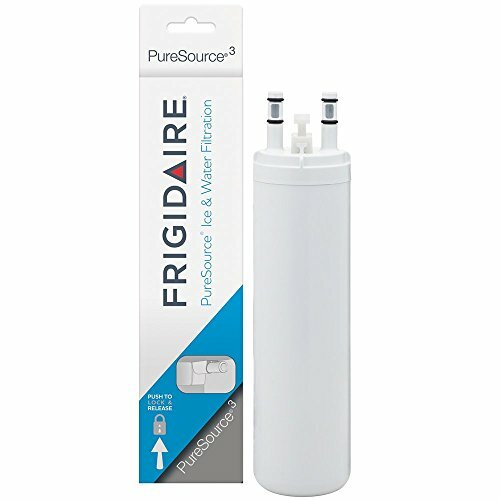 The Frigidaire PureSource 3 Ice and Water filter is an NSF-Certified water filter designed to fit side-by-side models manufactured after 2009. This filter has a 300-gallon capacity and a flow rate of 0.5 gallons per minute. It features an indicator light to let you know if you have reached this capacity prior to the six month change cycle. The PureSource 3 is model number WF3CB, also known as RENEWWF3CB, SWF3CB, 242069601, 242069603, 242086203, 242294501, and P242069601. 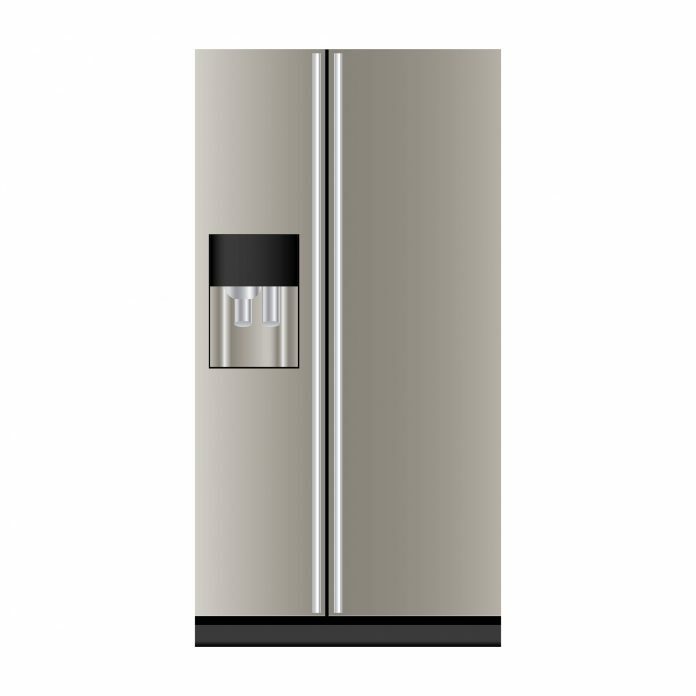 This model is compatible with refrigerators with model numbers FFHS2622, FGHC2342LF, FGU2642LF2, FFHS2622MW, FGHB2844LF, FGUS2642LF, and FFHS2522MS3. 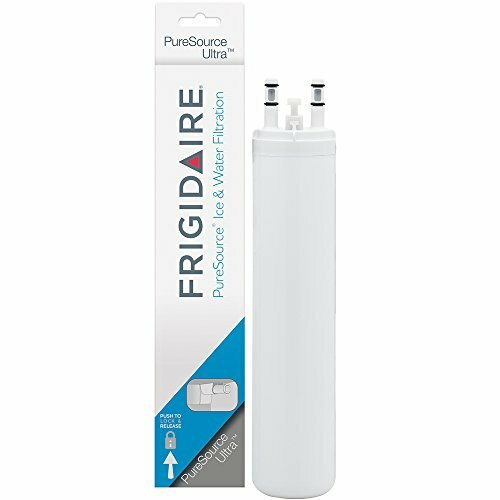 This replacement Frigidaire water filter installs in the rear top-right of compatible refrigerators and features a push-to-lock installation design. This push-push filter is designed for use on all French-door and side-by-side style Frigidaire refrigerators. 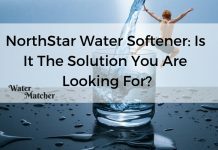 This filter is designed to remove up to 99% of microbiological agents and eliminate odors from water for up to six months. This filter is rated to a 200-gallon capacity or a usage period of six months and features a flow rate of 0.5 gallons per minute. You can purchase a single filter from Frigidaire or save money by buying a pack of two or three filters. A starter pack filter bundle for PureSource Ultra makes it easy to boost the freshness of air and water in your fridge with a PureSource Ultra ice and water filter, PureAir Ultra air filter, and a PureAir Freshness Booster ethylene absorber. This bundle contains everything you need to improve and maintain the quality of the air, food, ice and water in your Frigidaire fridge. 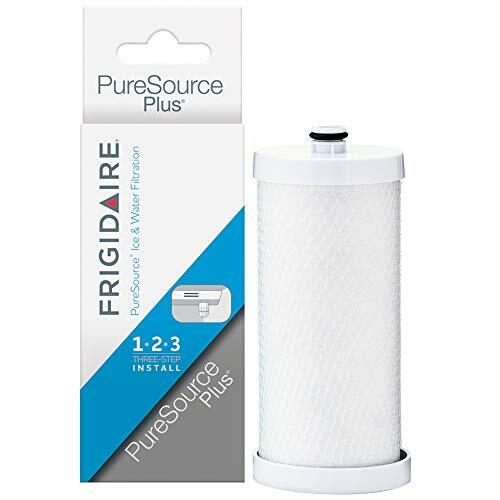 If you only need to replace water and air filters, you can also purchase a combination pack with the Pure Source Ultra ice and water filter and PureAir Ultra air filter for compatible Frigidaire models. The PureSource Ultra is also known as ULTRAWF, RENEWULTRAWF, 241791601, 242017801, 242017805, and 242294401. This model is designed to fit several FFHN, FFHS, FGHB, FGHC, FGHS, FPHB, FPUS, PN, and LGHC refrigerators. This filter installs in the rear top-right of compatible fridge models. You will need to turn off the power switch to the icemaker and push the end of the old filter in until it clicks and releases. Slide the old filter out, discard it, and then push the new filter in until it clicks into place. This click indicates that the water valve that was shut off when you removed the old filter turns back on and that your filter will operate properly. Turn the ice maker back on and flush the system by running the water dispenser on your fridge for three minutes and reset the change filter light. 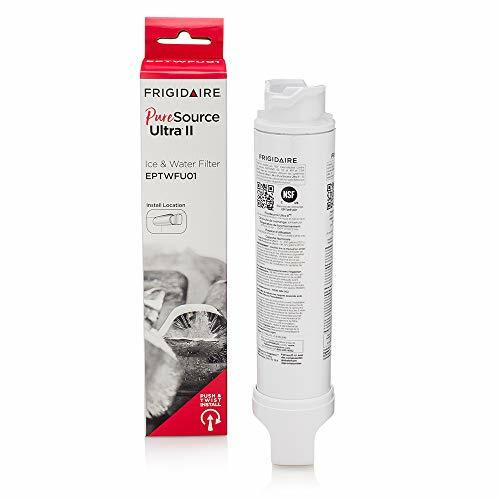 The PureSource Ultra II Ice and Water Filter from Frigidaire reduces levels of chlorine, heavy metals, pesticides, and traces of pharmaceuticals in drinking water. 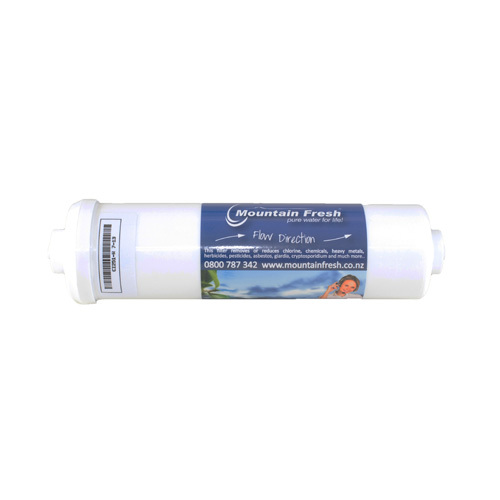 This NSF-certified filter features a flow rate of 0.5 gallons per minute. It is compatible with French-door and side-by-side models, including some FGHB, FGSC, FPBC, FPBG, FPBS, FPSC, and FPSS fridge models. The model number is EPTWFU01 and alternate part numbers are 807946701 and 34-8719-1468-4. The PureSource Ultra II installs in the rear top-right of compatible fridges with a push-and-twist method similar to the original PureSource Ultra filter. Make sure the filter clicks into place to reopen the water valve and flush your water dispenser for several minutes. The best way to save on Frigidaire water filters is to subscribe to the filters you need for your fridge on the company's website. 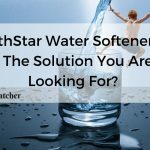 A subscription can save you up to 15% on filter replacement costs and automatically provides you with a new filter every six months, which is the recommended operational life for these water filters. When you purchase filters directly from the manufacturer, you can rest easy that the filters you receive are authentic and will perform up to the standards set by Frigidaire. You should replace the water filter in your Frigidaire refrigerator with the right genuine PureSource water filter at least every six months to maintain the quality of ice and water. 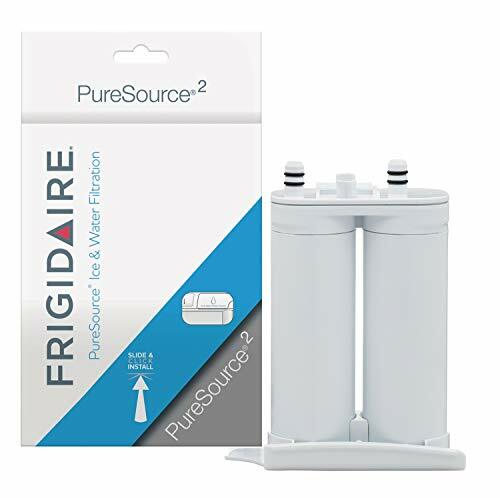 Authentic Frigidaire PureSource filters can be more expensive than off-brand replacements, but they are likely to provide higher quality water for the full rated capacity or six-month use period compared to compatible replacement filters made by independent manufacturers. If you are not sure which model of PureSource filter to buy, enter the model number of your refrigerator on the Frigidaire site or another site that sells genuine replacement filters. You can also check your manual to see where the water filter on your fridge is located and to confirm the right part number. No matter which replacement filter you need, most of these filters are designed for easy installation. You can also find some helpful tools, such as a specialized water filter wrench that can help you obtain more leverage when replacing certain filter designs. If you plan to keep your fridge for at least the next several years, you should strongly consider the money-saving subscription program available through the manufacturer. This program can save you up to 15% and make sure that you have a new Frigidaire water filter every six months. This can make it easier to remember to cycle out the filter in your fridge and the savings will add up over time. Overall, we give this featured product a five out of five stars. Authentic Frigidaire PureSource filters can be more expensive than off-brand replacements, but they are likely to provide higher quality water for the full rated capacity or six-month use period compared to compatible replacement filters made by independent manufacturers.